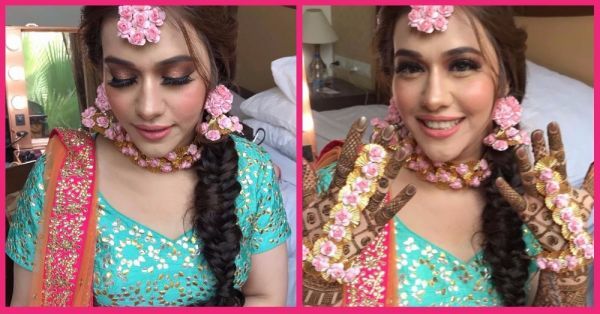 This Bride's Mehendi Make-Up Is Totally LIT & We Have All The Deets! Floral jewellery, bright coloured outfit and sunglasses - this is the newest and prettiest bridal mehendi look that almost every bride is opting for these days. But we’re not complaining because it makes each bride look just as stunning! Every bride is pretty in her own way, but this gorgeous one, Mehak Thakral, did not just look pretty at her mehendi function, but also gave us some legit #beauty goals too. We did a quick five with her make-up artist, Leena Bhushan who disclosed the secrets behind her gorgeous look.... Let’s get started. We are crazy about Mehak’s lipcolour… What shade is it? What is the one make-up trend you swear by for the 2017 bride? P.S. Readers: That’s an amazing tip! Well, we do trust her and these were some amazing tips that are useful not just for the bride, but for shaadi guests and women in general. And now that we are done with decoding her make-up look, let’s move on to her oh-so-stunning floral jewellery, which the bride got from PRUNE. 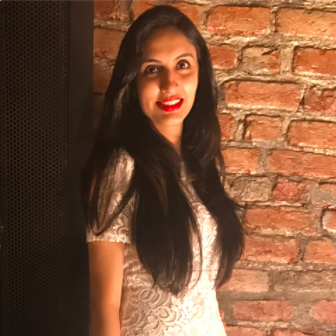 We got a few minutes with Leesha Arora, the owner of Prune and she had some really cool and quirky things to say about it. Check it out! What do you think about the floral jewellery trend that is catching on with brides these days? We are sure many brides come to you looking for exquisite pieces, what do you advise them to pick? What is your favourite floral jewellery piece? Anything special advice you would like to give to our brides-to-be? Any tips for adorning the right kind of floral jewellery? Hope you got the hint, all our lovely brides-to-be!